SIGACCESS Member Profiles for Armando Baretto, Dvid Duce, Becky Gibson, Darren Lunn, Jen Mankoff, and Ian Murray. 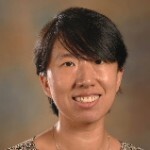 Dr. Jinjuan Heidi Feng is an associate professor at the Computer and Information Sciences Department at Towson University. She received a Ph. D. in Information Sciences from UMBC in 2005. She conducts research in the area of universal accessibility, mobile health applications, and accessible security and privacy. She works closely with national and local communities to improve the quality of life for people with disabilities through information technology. Her current research projects focus on assistive technologies for people with cognitive disabilities in educational and professional settings, mobile applications for health related activities, and accessible security techniques for individuals with visual or cognitive disabilities. Her work has been published in various top-notch journals and conferences such as Human-Computer Interaction, ACM Transactions on Computer-Human Interaction, and ACM Transactions on Accessible Computing. She is serving on the editorial board of ACM Transactions on Accessible Computing and has served on numerous conference program committees and review panels.